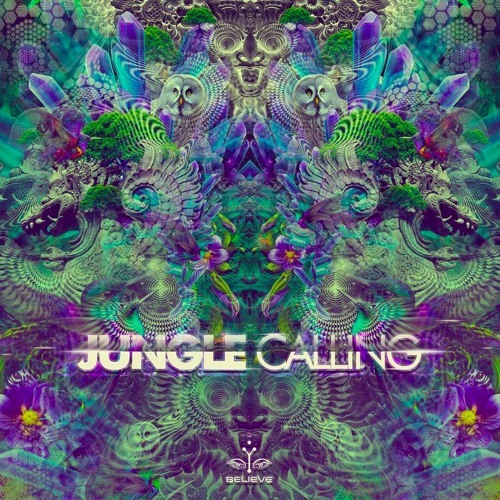 Jungle Calling is a compilation made by Djs Govinda & Mikel and inspired by the wild jungle gathering we have been putting up in Goa since few years now. After more then 10 years of experience taking active part in festivals like Boom, Ozora, Sonica, Modem, Blackmoon and others we finally decided to open a record label and release music from our favourite artists selecting tracks from the most known ones like Ajja, Drip Drop, Gaspard and Dsompa. but also some emergent ones like Brain jam, Overload and Dimmitrion to give voice to great new artists that haven't been discovered by the audience yet. The type of sounds that we have been selecting is a mixture of organic feelings, groovy baselines and crunchy leads aiming to take you into a powerful hypnotic experience. The dance floor has been our biggest passion for many years, that's why our hope is that these tunes will bring you into a new dimension like it did to us in the last parties... Keep rocking & stay Psy!